Julie: What time is it? 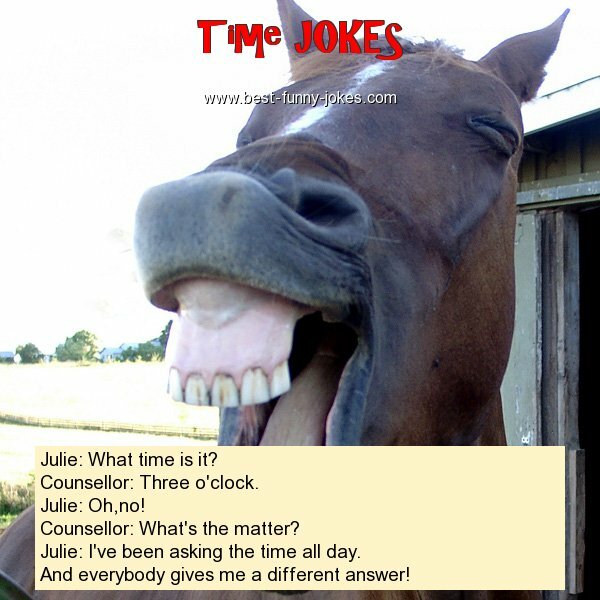 Julie: I've been asking the time all day. And everybody gives me a different answer!